Today I gonna write only a short article. I wish you a Merry Christmas and a Happy New Year. I bought myself as a Christmas present the last Barbie doll missing in my Holiday Collection. 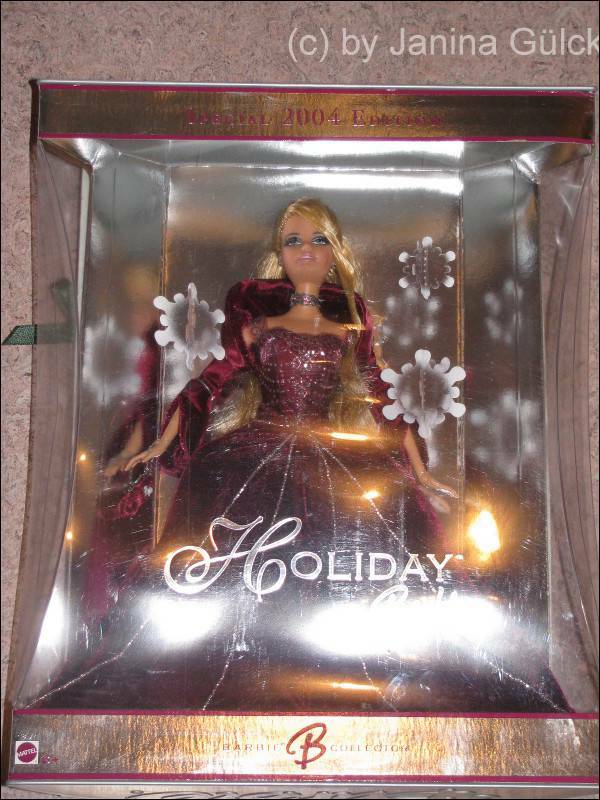 It’s the special edition available at Sears from 2004. I took some pics before I left for my Christmas holiday last Thursday. Today I gonna open my treasure chest again. What may be inside ? 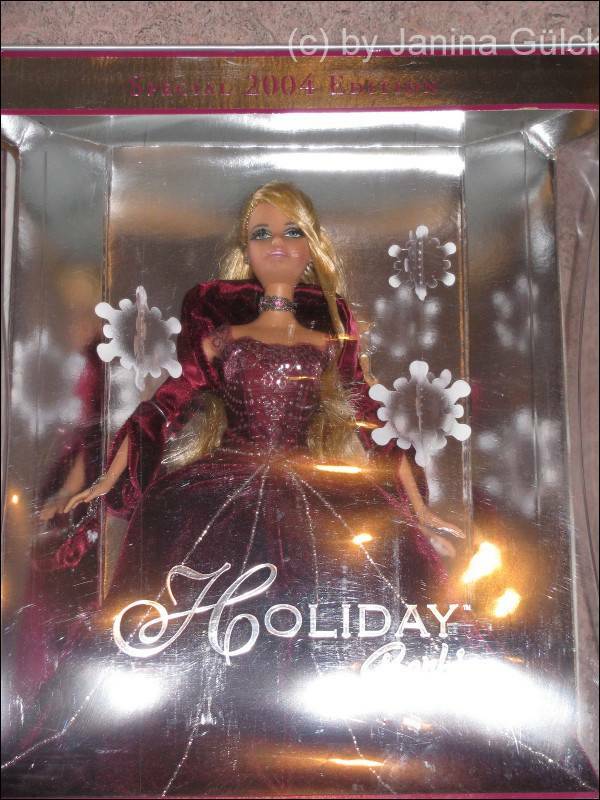 It’s the first series that Byron Lars made for Mattel in the late 1990’s. 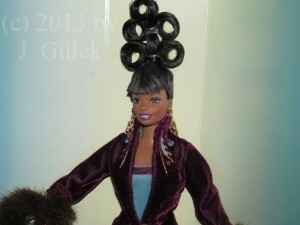 I must tell you that before this series no Afro-American Barbie doll was released in Europe. I think it’s because the percentage of Afro-Americans living here. 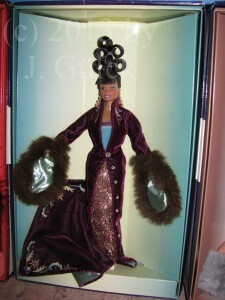 The percentage is very low and there was no reason why no ethnic dolls were back then on the German market. 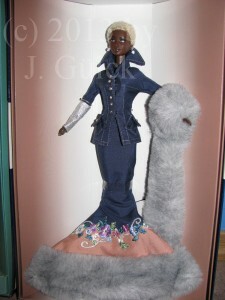 Few collectors, who had relatives in the US, were able to get them. 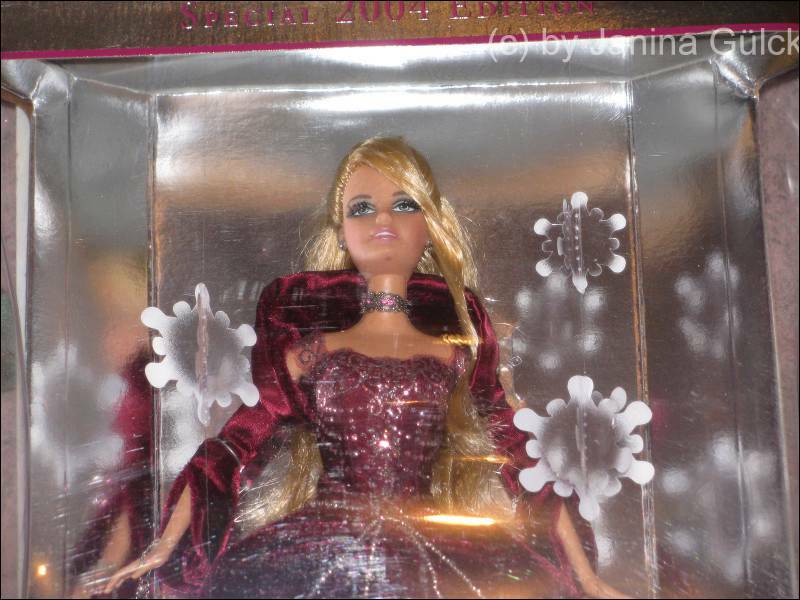 In times before Internet was used as a source to buy dolls, getting AA Barbie dolls was hard. Now we also have books in which we can look them up. 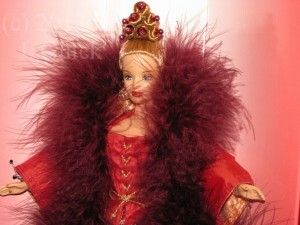 The situation changed when the first Barbie dolls by Byron Lars were available. From this series I own Cinnabar Sensation (CC version, only doll available in AA version and CC version), Plum Royale and Indigo Obessession. 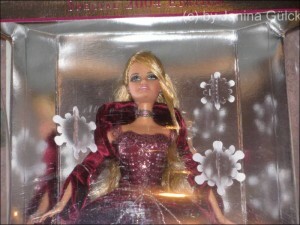 In my collection In the Limelight Barbie is missing but I didn’t really like her. I know it’s still Advent season but I like to introduce you today the only set I bought in the last months. It’s called Skiing Vacation Set and it’s from the year 2000. I’m not sure whether it was available in Europe or not. 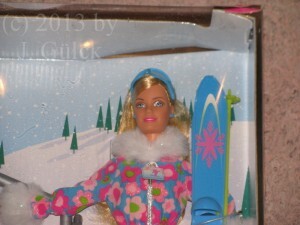 It contains Barbie, Stacie and Kelly, Ski equipage for each sister and a ski lift. The box is very big in comparision to other boxes. 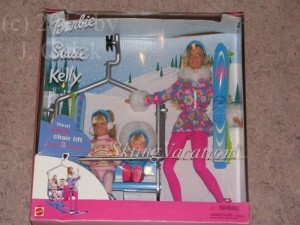 Barbie wears a floral jacket, pink leggings and pink ski boots while Kelly wears an outfit almost completely in blue. Stacie, here in this set with a new face, comes with a mulit-coloured pullover light pink tones and a light pink leggings. I hope they are not freezing but a leggings is not the most suitable kind of cloth you should wear in winter.